"Ms. Grimm takes readers on an amazing journey, a trip where her wonderful talents as a storyteller bring the tale to life...If you, like me, enjoy fast paced, nail biting, page turning, edge of your seat suspense, then by all means get on board and try Not Without Risk." 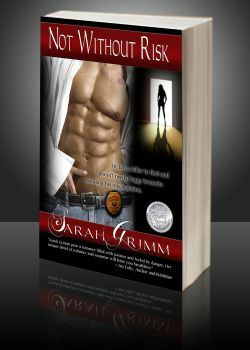 "Sarah Grimm is an author to watch." "Sarah Grimm has done it again with a fabulous romantic suspense...The suspense and attraction was awesome and this is definitely an author that will blow your mind away." "Grimm is a master at characterization...Not Without Risk is a book you won't want to miss." "This was such a romantic, adventurous, thrilling read...I recommend this be added to the must-read lists of suspense fans, as well as contemporary romance readers who enjoy spine-tingling situations." "With the power of Paretsky and the class of Shone, Sarah Grimm wraps you in one hot story and never lets go."